Marie Hall was a dedicated member of our nursing staff at Allegan General Hospital, and made a lasting difference in her community. Those who knew and loved Marie established a fund within Allegan General Hospital Foundation to help others advance their knowledge and skills in nursing. 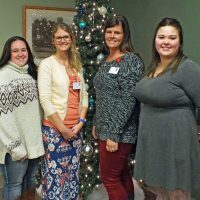 A scholarship award is made every spring to help a member of the Allegan Healthcare Group staff achieve their educational goals and aspirations.